This was my second summer photographing the fascinating Peterson family. I’ve had the pleasure of getting to know Julie, the amazing mom you see in the photos because we swim together on a master’s swim team. (Yup- we’re like old people that go to swim practice!) Her husband, Fred, is a great dad and such a nice guy. You can’t help but to love this family. …And that’s just the grown-ups. The two boys, Jack & Max, are a hoot! They have their own unique personality and they are typical boys and typical brothers- it’s very entertaining. 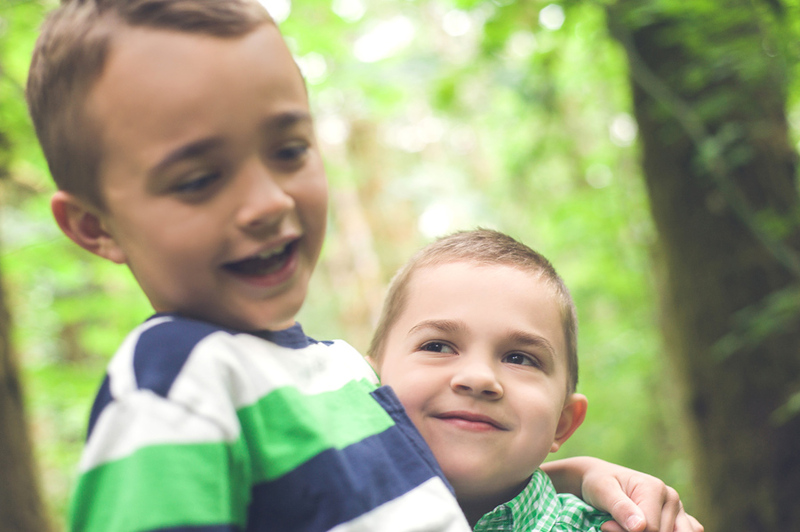 So what better way to allow them to express their boyhood then taking them into the woods. 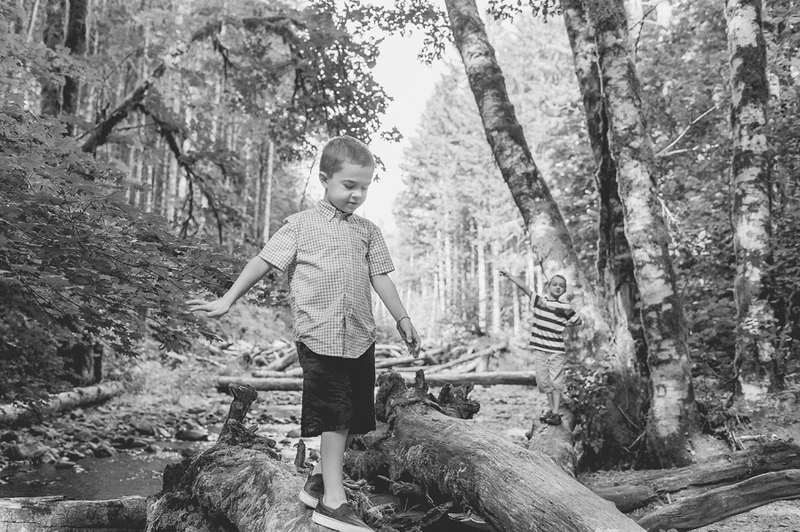 The boys hiked around, played with stick swords and threw a lot of rocks into the stream. Eventually everyone got a little wet walking through Gales Creek. And Jack, well he got soaked. I didn’t mind because I got some hilarious photos. 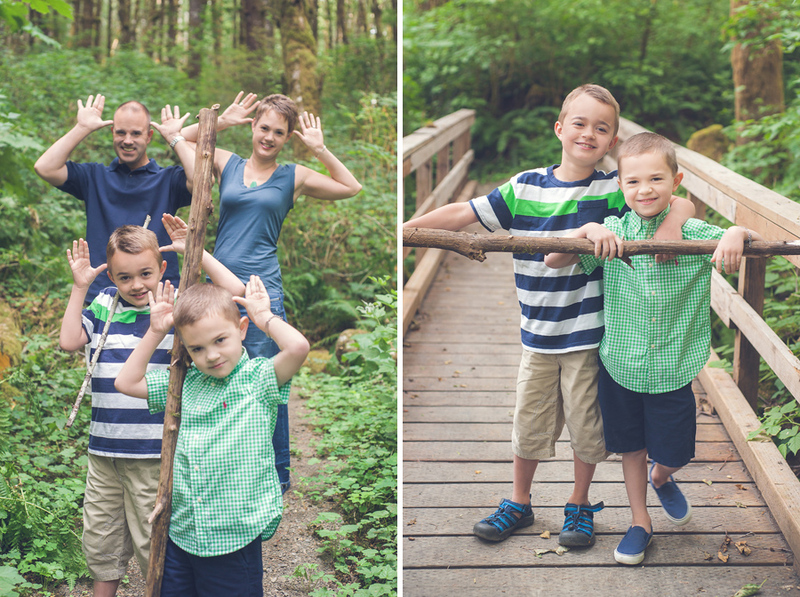 Fred & Julie- always a pleasure to photograph your family. I hope your boys enjoyed the shoot. And I hope you enjoy the photos. Julie - I love these photos. You captured the family so well. The pictures of the brothers together show some much fondness between the two of them. Marlynn @UrbanBlissLife - The last set of one of the boys playing in the water is my favorite! And the middle one of the brothers holding hands is super sweet. kelsey - so cute! love the water-play photos!